Our people are our strength. Bringing together the best and brightest, we have assembled a dynamic and diverse team with unparalleled strategic planning and execution potential. We are millennials. We are optimistic. We are serious about solving real and pervasive problems plaguing the world. 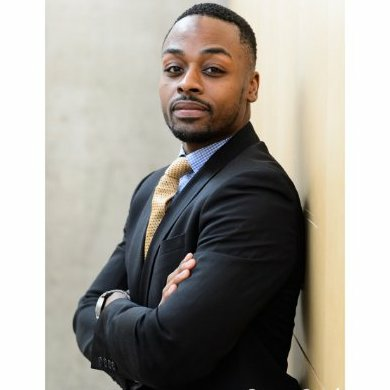 Jarren is an alumnus of Alcorn State University, University of Illinois at Chicago, and Stanford University. He is an electrical engineer by trade and serves as an engineering manager at a startup consumer/medical technology company. Jarren is a native of Chicago, Illinois and currently resides in Oakland, California. He brings his wealth of experience and love for all things technology to this team as he supports our technology presence and infrastructure. Zachary currently serves as an operations specialist for Facebook, where he manages product launches, scaling support and community operations. Previously, Zachary led initiatives at philanthropic groups and handled strategic analysis systems for Groupon. He is an alumnus of Northwestern University and The Wharton School. Zachary will manage our team's virtual community operations and engagement. He is originally from New York and currently resides in the San Francisco Bay Area. Grace has previously worked to leverage technological systems for the betterment of others, namely within education. She is an alumnus of Georgetown University and current student at Harvard's Kennedy School of Government. Grace is a native of New Orleans, Louisiana and currently resides in Boston, Massachusetts. Grace's history in working toward equity for others and interest in policy will serve us well as she leads our advocacy work. Karla is an alumnus of Yale University and soon-to-be graduate of the Yale School of Management. Karla is poised to lead our team's national business operations to ensure we are able to reach out partnership commitment goals. A native of Houston, Texas and current resident of New Haven, Connecticut, Karla is interested in leveraging her business skills to increase the efficiency and impact of organizations in order to solve some of the world's most pressing issues. Usman is a strategic thinker and natural relationship builder. He will leverage these skills as he works to expand our footprint in cities around the world. Born and raised in Lahore, Pakistan, Usman now resides in Louisville, Kentucky, where he serves as the Executive Director at CityThink. Usman is an alumnus of Northwestern University and DePaul University, and studied social entrepreneurship at Stanford University. Michelle is often characterized by her intoxicating personality and ability to manage organizational systems and synthesize very complex information. Michelle currently resides in Boston, Massachusetts and serves as the Chief of Staff for The Achievement Network. She will drive our organizational strategy and manage our network liaisons. Michelle is a native of Dallas, Texas and alumnus of Stanford University and American University. Zachary is an award-winning educator, national nonprofit consultant, self-professed political junky, and will manage our team's global partnerships. Zachary is a native of Chicago, Illinois and an alumnus of Northwestern University and Columbia University's Teachers College. He currently resides in Washington D.C. and brings to this team his entrepreneurial spirit and experience managing and leading complex teams. As Zachary's brainchild, Global Millennials for Progress is poised to impact the lives of millions of individuals across the globe. Frank is a native of Little Rock, Arkansas, but has taken a bite out of the Big Apple as he continues to expand his entertainment enterprise. As one of the New York City's leading entertainment and social organizers, Frank's social events and charitable causes attract tens of thousands millennials annually. Frank will help shape and lead our network events with his creative experience, which will help us mobilize millennials across the globe. Frank is an alumnus of University of Arkansas and currently resides in New York City, New York.